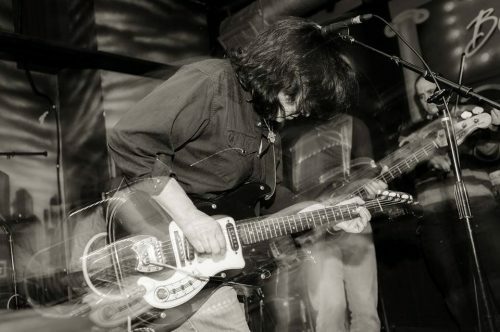 We discuss “Northwest Branch” by The Thalia Zedek Band from Eve (2016); the opening music “Afloat” is also from that album. Then we reach back to “Desanctified (Full Circle)” from Been Here and Gone (2001) and “Hell is in Hello” from Trust Not Those in Whom Without Some Touch of Madness (2004). We conclude by listening to “Regatta” from the self-titled debut album by a new collaboration with Jason Sanford (Neptune), and Gavin McCarthy (Karate) called E. Get her albums at thaliazedek.bandcamp.com, follow her on Facebook, and visit her site at Thrill Jockey records. Also, check out abandcallede.com and E’s Facebook page. Hear more discussion with Thalia and three more songs by supporting NEM at patreon.com/nakedlyexaminedmusic. PEL Citizens can get the bonus audio here. Some of the great songs by her old band Come include “New Coat” (from their last album), “Car” (from their first EP), and “Submerge” from their first full album (and possibly their commercial height) around 1992. Note that Come backed Steve Wynn on his album Melting in the Dark. You can hear her as a young lass singing “Smile on Your Face” with the Dangerous Birds.